We feed our family natural and healthy foods. 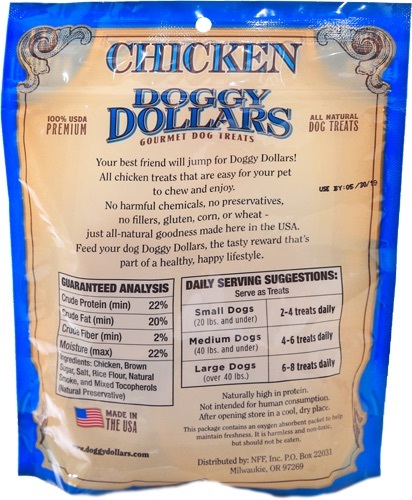 Our dogs deserve treats made with the same quality of ingredients and that meet the high standards we have for our own food. After all, our dogs are family! 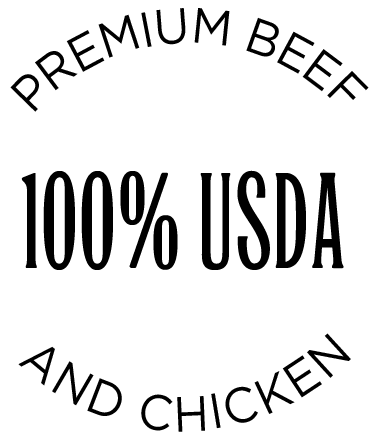 That's why we use 100% USDA premium beef or chicken. We don't have a complicated ingredient panel, mystery meat or hidden fillers, just delicious treats naturally high in protein, essential fats and calcium. 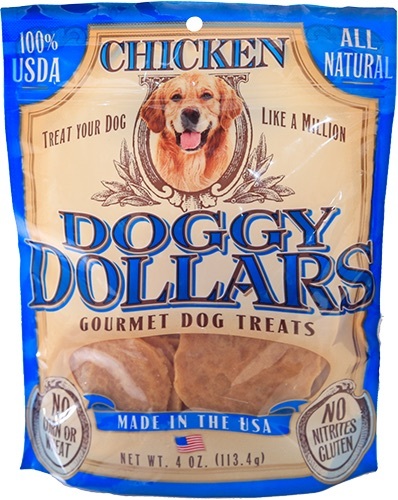 Whether rewarding your dog for learning something new or for just being your best friend, Doggy Dollars™ will be their favorite all natural healthy treat. 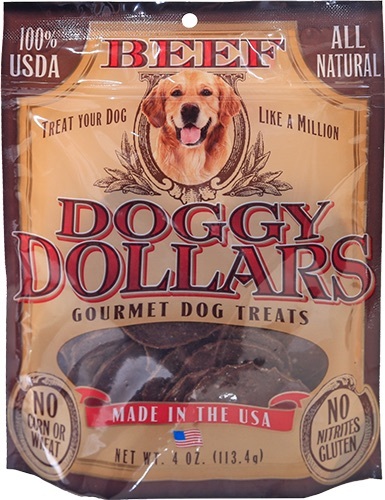 TREAT YOUR DOG LIKE A MILLION!